The fabric of the Katya skirt looks vintagey. It's actually dirty gray not black. At long last, STASH's 2nd collection (1st part) is out! Part 2 will be out on Tuesday! First to confirm gets the item. I will be able to ship the items by the end of this week. e. Message: Hey cheys, is the Sandy shorts lose? Buyers will shoulder the shipping fee of 90-120 php. Payments should be sent through BPI or Gcash only. Please this is for sure buyers only. If you havent made up you mind yet, don't leave a comment. For those who want to order these in Large sizes, pls. feel free to tweet me or leave a comment! e. Message: Hey Cheys, please make sure that there are no stains, tears to the fabric, or damages of any kind to my order. :) Thank you so much. 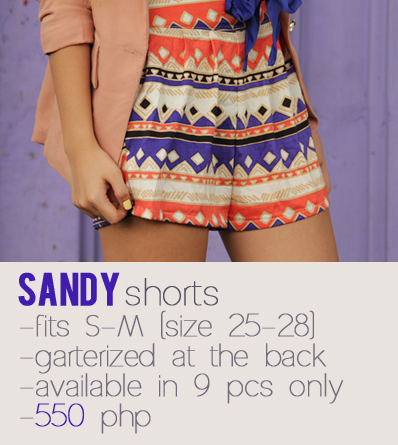 e. Message: Cheys, I'm planning to order another pair of Sandy shorts but in a larger size. How much po ba? *---* in love with the shorts and the first skirt!!! Do you ship worldwide? I'm from Portugal! how much the shipping fee for Portugal? b. Orders: SANDY (Size 26) 1pc. KRIZY (size 27) 1pc. hi is krizy still available? shall i pay tom na? uggs sale nederland Deng helpen je uggs sale online echt Laoyanhunhua ouderen, hoe ouder je wordt, hoe doen ze een plaats vinden, allerlei soorten kool, water geven, Hermitage tuin nog. Zo veel ouder nog steeds uggs outlet online in hoge posities, uggs sale nederland bang was hij dood en niemand kan de kist niet in begraven. Hoorde geen woedend, maar viel in uggs sale nederland herinneringen, zijn trance uggs bailey button sale herinner goedkoop, maar ze voelen niet goedkoop gezien. No joke. The former I’m A Celeb star took the plunge in a asics australia sale striking orange gown by AQ/AQ, making sure she didn’t fade into the background with her buxom cleavage in full view. If you’re looking for a stand-out party piece for an important cheap asics running shoes event or function, then AQ/AQ is the place to go for simple yet bold and vivacious creations in block colours with defined silhouettes. And the good news is, they’re not too expensive as far as gowns go, asics running shoes sale with this one coming in at ￡110.